Gwenda Rae Zwar was born at Booleroo Centre on the 9th of February, 1935, youngest daughter to Alfred Edgar Zwar and his wife Johanne Ernstine. She was baptised at St Trinity Lutheran Church, Appila on the 10th of March, 1935. She grew up on the family farm at Wirrabara with her sister Joyce and her brother Reg. When Gwen was about four years old, her parents were told that it was very unlikely that she would live very long. Well, she sure proved them wrong. She suffered from Bronchiectasis. As a result, she had two major operations in her late teens that really improved her health, however they left her with a persistent cough that stayed with her throughout her life. Gwen attended Wirrabara school for 7 years, and then spent one year at Immanuel College in North Adelaide as a boarder. While here she was confirmed at St Stephen’s Church by Pastor J. E. Auricht on December the 5,h, 1948. Whilst at Immanuel, Gwen befriended a girl from Mundulla, Lorna Obst. An invitation to Loma’s 21st proved to be a life changing occasion, as this is where she met Loma’s brother Ron. Gwen’s parents retired to Tanunda at about this time, and Ron got very familiar with the road to the Barossa. 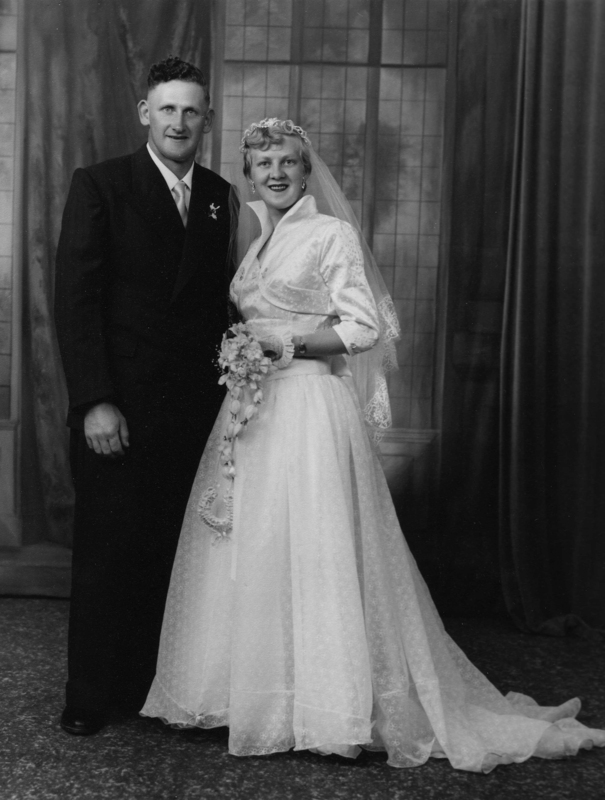 Exactly one year after their meeting the couple were engaged, and were married at Langmeil Lutheran Church, Tanunda on the 23rd of February, in 1957. Ron remembers being so nervous that he couldn’t even remember the best man’s name. The young couple lived on the farm at Mundulla. Gwen loved to be outdoors, and loved the country life. Ron fondly remembers watching Gwen rounding up the sheep while pushing David in a pram with the dog in tow. After several heartbreaking miscarriages, Gwen and Ron were blessed with three wonderful children, David, Jenny and Nick. Gwen loved being a mum and all three have wonderful memories of games, and ideas, and Amazing birthday cakes. They also got some good parts in the school plays because she made the best costumes. Jenny remembers all the times that Gwen would take the kids out into the pines to create cubbies and have picnics in them. Gwen loved Ideas; she loved ideas and she loved making things. Once she had one thing perfected, she would move on to find something else to challenge her. She made jewellery, ceramics and hobbytex. She spun wool and knitted and crocheted it, even having her own flock of coloured sheep for wool variety. She could sew anything and often the kitchen table was taken over by her projects. She tried lead lighting, paper tole, polishing and setting gemstones, coin and stamp collecting. Nick remembers coming in cold and wanting a hot bath to find that the tub was full of wool being soaked. Whenever anyone in the family wanted to try a different pursuit, she would join in. She learnt how to ride a skateboard, a motorbike, and a horse so that she could ride with Jenny. She turned part of the house into a dark room when Nick was interested in photography, including blacking out the whole bathroom. Many hours were spent helping, supporting and encouraging David with his wooden toys. She made skimmer boards, and dedicated herself to learning how to use the new-fangled notion of computers. Gwen was blessed with a wonderful artistic talent, which lead to her being involved in the design of many things, including the Guiding Hand book shop logo, the cross at the front of the Church, the Centenary logo for Mundulla and the Gates at Appila Church. Gwen was a prolific reader and loved puzzles of every kind. Christmas every year had a jigsaw puzzle on the table. She spent a great deal of time collecting and researching the Zwar family history Tree. It was a great passion of hers to see it published, but for various reasons, it unfortunately never was. Music was a major part of Gwen’s life, and she had such amazing natural talent. She learnt piano and piano accordion as a child, and it was a life-long love. She played for many occasions, from socials, state-wide conventions, weddings, funerals and church services. She even played for a funeral the day before she died. She was an organist here at Trinity for 55 years. Jenny remembers going with Mum to practice the pedal organ in the old church and pedalling for her while she played the top. She would sit at the piano for hours, just playing her favourite music. She also taught several of her grandchildren how to play piano, and was so proud of the musical talent that she could see in all of them. Soon after she came to Mundulla, Gwen re-formed the town’s Women’s Agricultural Bureau, and was a very active member until her death. She was also involved with the WAB before moving here, and this year would have been her 60th year. The Guiding Hand book shop in Bordertown was Gwen’s idea, and she was instrumental in its establishment and growth. She was an exhibitor at the both the Mundulla and Bordertown shows, and was involved with the Mundulla show society. Gwen was passionate about causes, and when she felt that something not right she would speak out. She wrote many letters to papers and to politicians, supporting the rights and needs of all people, but particularly rural people and Christian Values. This lead to her being asked to write a regular article for The Chronicle, and then the Farmer and Grazier. Her Non-de-plume was Jane. She was also asked to write a “My State” article for the Advertiser. She wrote many letters to SES channel 8 about the appropriateness of some of their programs. No matter what she had to say, she would always start her letters with a compliment. The manager of Channel 8 probably almost felt like he knew her personally. Gwen dedicated herself to her Church life. She worked in the office for many years, printing the bulletins, creating the directories, forming programs for different groups, was involved in cleaning the church and leading the choir. Her faith was central to her life, and it reflected in all that she did. In the last few years we have seen how tired she has been getting, and we know that she is now at rest in our loving Father’s arms. There were so many facets to mum, and we will miss all of them. Life was never boring, and she has instilled that love of learning in her children and grandchildren. We have shared so many fun memories in the last few days, and we would love to hear the many more stories that you have. 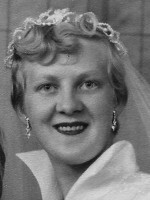 RIP mum. We love you so much. © Ron Obst. The above Obituary was prepared by Gwenda’s family.